In Greek mythology, Iris is the personification of the rainbow and messenger of the gods. Inspired by this rainbow, it is a combination of layers and intentions. 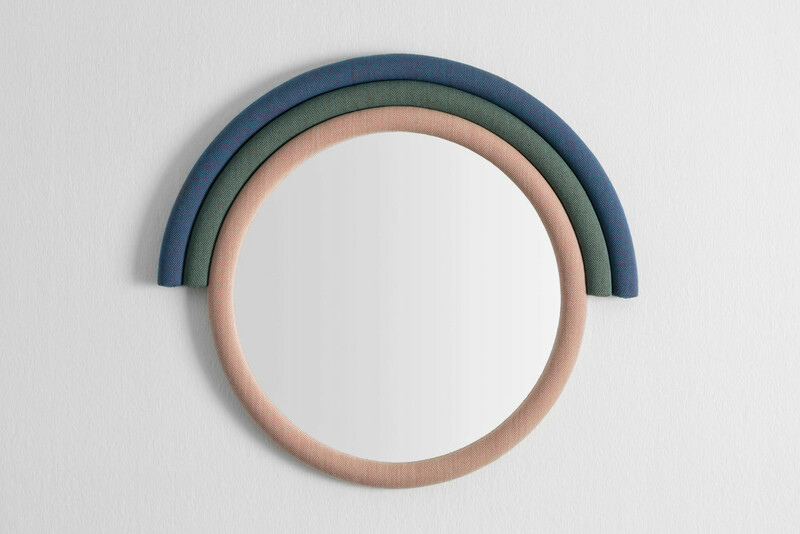 This minimal and elegant geometrical shaped mirror can fit to any environment thanks to its contemporary attitude. Joyful colors and round shape of Iris comfort its users every time they look into it. 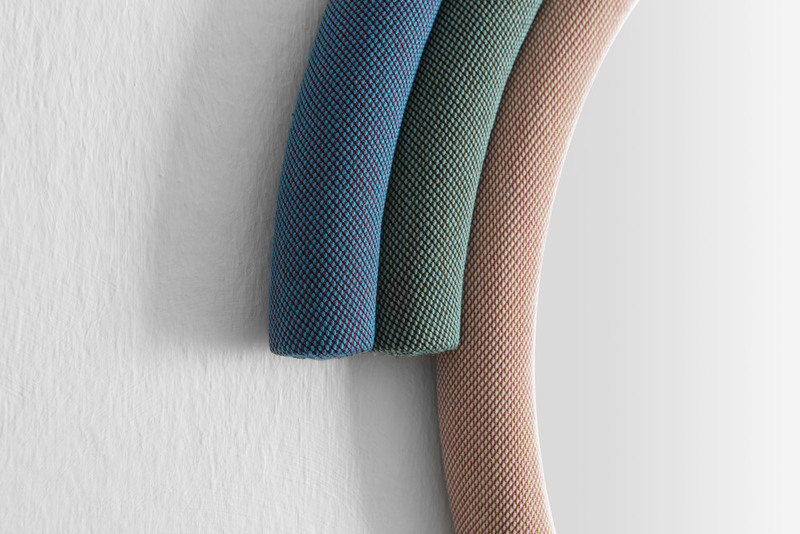 W 31" D 1,5" H 28"
3 different colored Kvadrat fabrics on plywood and foam. Clear mirror.